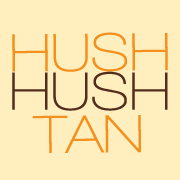 *Tans do not roll over *30-day written notice is required via email to cancel membership to: kari@hushhushtan.com. *Membership can be frozen for a $10 monthly fee *For all member questions and inquiries, please email membership@hushhushtan.com. 3 tans/month _______________________________________________________________________________ *Tans do not roll over *30-day written notice is required via email to cancel membership to: kari@hushhushtan.com. *Membership can be frozen for a $10 monthly fee *For all member questions and inquiries, please email membership@hushhushtan.com. 2 tans/month _______________________________________________________________________________ *Tans do not roll over *30-day written notice is required via email to cancel membership to: kari@hushhushtan.com. *Membership can be frozen for a $10 monthly fee *For all member questions and inquiries, please email membership@hushhushtan.com.